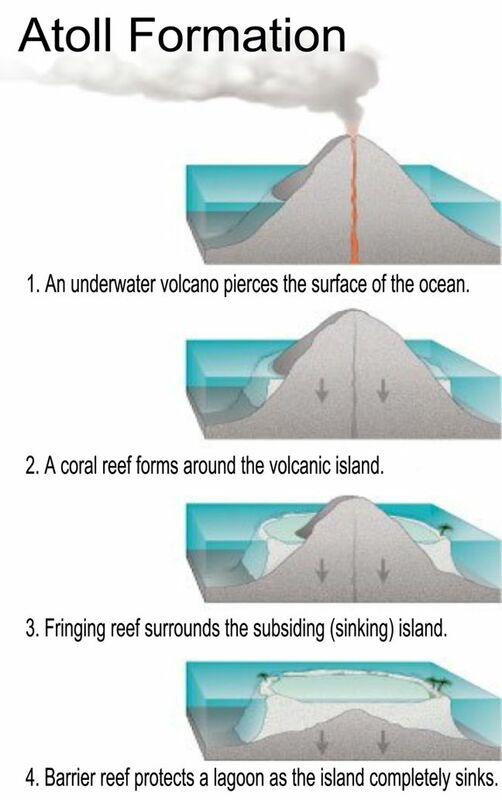 Illustration: Formation of an atoll. An atoll develops from a coral reef that rings a volcanic island. Encyclopedic entry. An atoll is a ring-shaped coral reef, island, or series of islets. The atoll surrounds a body of water called a lagoon.